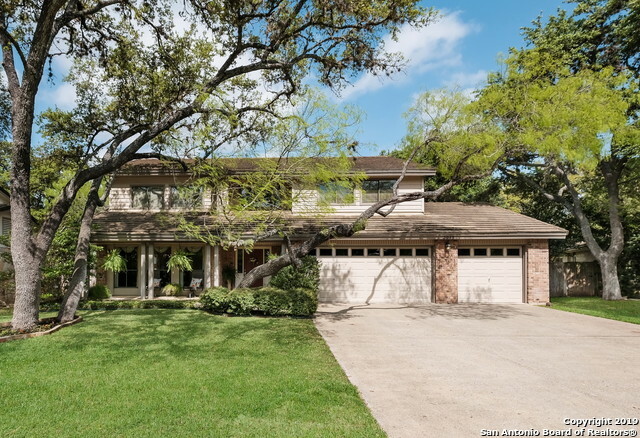 All OAK MEADOW homes currently listed for sale in San Antonio as of 04/20/2019 are shown below. You can change the search criteria at any time by pressing the 'Change Search' button below. "Take a look at this renovated home in Oak Meadow. Entertain friends & family in this open floor plan with large backyard. The renovations in this home are amazing-quartz counters & custom cabinetry in kitchen. Marble counters in bathrooms, wood-look tile throughout, updated lights, interior and exterior paint. Kitchen has stainless appliances, lots of cabinets & counters, breakfast bar & breakfast room. Walk-in pantry. Large wood-burning fireplace in family room. Don't miss bonus understair stor"
"2 story home in sought after Oak Meadow on a corner cul-de-sac lot w/large backyard & patio. Renovated/ready for immediate move in. This home features plenty of entertaining space w/formal dining, living, family rm. Kitchen boasts lots of cabinets/updated counters, backsplash, brkfst rm. Wood floors & tile throughout 1st floor. Large master bedroom w/ceiling fan, walk-in closet. Nice barndoor-style sliding door to bathrm w/dbl vanity, restored tub/shower. Private backyard/patio for your outdoor "
"Stunning 3/2.5 fully remodeled home in sought after Oak Meadow neighborhood near pool and tennis courts. Home features open floor plan, large entertainer's kitchen with granite, breakfast bar, stainless steel appliances, and walk in pantry with built ins. All bedrooms upstairs. Master bath features custom cabinets, quartz countertops and spacious shower with dual showerheads and oversized tub in second bathroom. Outdoor living space with large covered patio and playground." "Beautiful 3/2/2 one story home in Oak Meadow! Don't wait to see this fantastic home that has just been upgraded with fresh interior paint, new light fixtures, new carpet in bedroom and closets and new engineered wood floors in living and dining areas. You won't be disappointed in what this home has to offer."